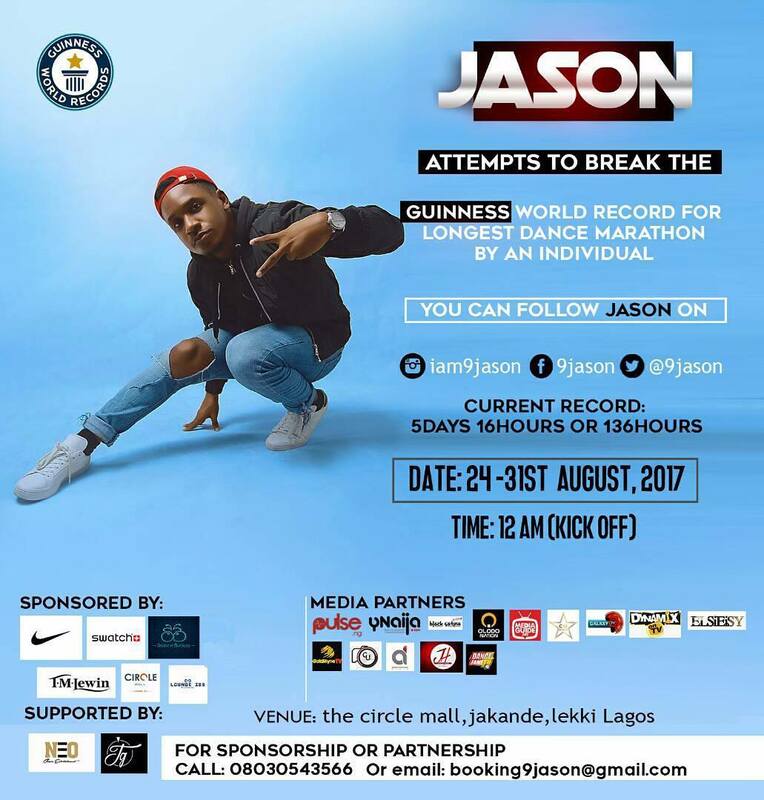 In what is fast becoming a reality, a Nigerian Dancer Joshua Marcus Usoro aka Jason has set off on an 8-day dance marathon to beat the already standing Longest Dance Marathon by an Individual Guinness World record of 123 hours and 15 minutes by Kalamandalam Hemaletha in 2010. Jason started the dance marathon on Thursday the 24th and is expected to keep dancing till next Thursday 31st of August. As at today, he announced 36hours of dancing on his Instagram page. 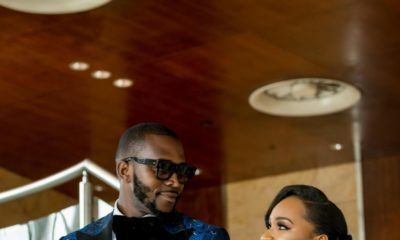 When he breaks this record, he will join other Nigerian Guinness Record holders; Dancer Kaffy who set the record for the Longest Dance Party at the Nokia Silverbird Danceathon in 2006 and DJ Obi‘s Longest DJ set record in 2016. #jasongwr #isupportjason Thank you so much for coming @kaffydance we will definitely make this record???????????? According to Pulse, Jason has been dancing for 20years and started choreographing at the age of 14. He also participated in some dance competitions in Nigeria including Maltina Dance Hall and Dance with Peter.